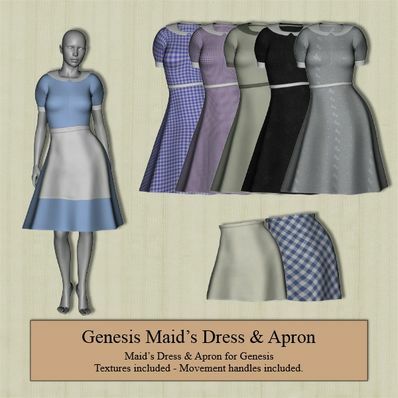 A Maid's Dress & Apron for Genesis for use in Daz Studio 4.6. This is so cool! They sell maid's aprons on Amazon and I got a pink one for myself, when I do messy art. Thanks so much for all these wonderful freebies!